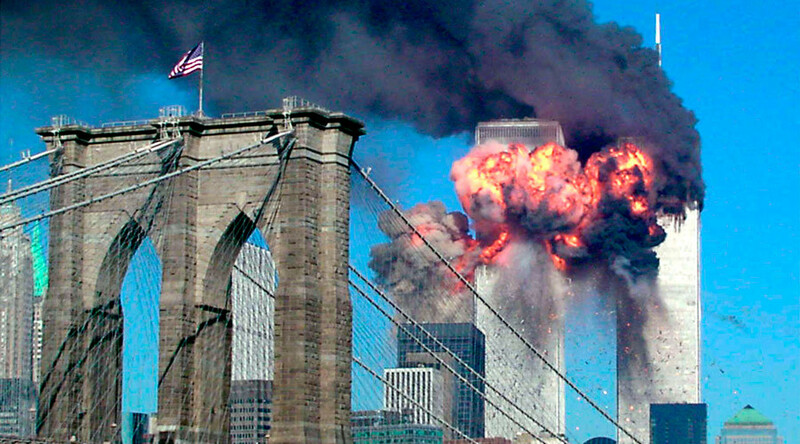 A revived push to pass a House resolution to declassify 28 pages of a 9/11 report possibly detailing official Saudi Arabian involvement in the terror attacks is being led by a group of congressmen targeting the House Intelligence Committee. During the previous White House administration, President George W. Bush classified the 28-page chapter to allegedly protect intelligence sources. In 2014, President Barack Obama ordered a declassification review of the redacted pages from the December 2002 congressional report known as the Final Report of the Joint Inquiry into Intelligence Community Activities Before and After the Terrorist Attacks of September 11, 2001. The 28 pages have been the source of speculation for years, with many in Congress who have exercised their privilege to view the documents suggesting the content to be revelatory, specifically on the question of substantial Saudi involvement in orchestrating the attacks that killed nearly 3,000 people. Fifteen of the 19 hijackers were citizens of Saudi Arabia, but the Saudi government has always denied supporting the attackers. In a relentless effort by US politicians to make the 28 pages public, last month, Representative Walter B. Jones (R-North Carolina) introduced H. Res. 779, which would allow Congress to bypass the president and release the 28 pages to the public. On Wednesday, Congressmen Jones, Stephen F. Lynch (D-Massachusetts), and Thomas Massie (R-Kentucky) held a press conference rally for support of the new bill. Massie, for his part, urged the House Intelligence Committee to declassify the redacted pages, because in the face of “domestic terrorism,” the public should know what led to the 9/11 atrocities. “There may [be] some very embarrassing facts, some very embarrassing moments, and some criticisms on own intelligence service because of what happened, if all the facts come out,” Rep. Lynch added. “They don’t want the facts to come out because it may reveal terrible, terrible errors on their part and they may bear part of the blame” for failing to prevent the worst terrorist attack in US history, Lynch concluded. Earlier this month, the government declassified a report compiled by Dana Lesemann and Michael Jacobson, listing more than three dozen people that were probed by investigators into possible Saudi connections to the hijackers. 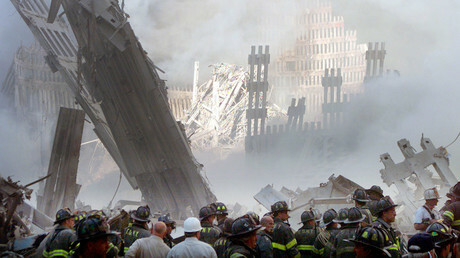 The document, known as “File 17,” first disclosed by 28pages.org, offers clues as to what may be hidden in the secret 28 pages of the congressional report on the 9/11 attacks. “Much of the information upon which File 17 was written was based on what’s in the 28 pages,” former Democratic Senator Bob Graham of Florida told Associated Press. As for the possible Saudi connection, the 9/11 Commission, which released a report of its own separate from the joint inquiry, stated that it found “no evidence that the Saudi government as an institution or senior Saudi officials individually funded” al-Qaeda. “This conclusion does not exclude the likelihood that charities with significant Saudi government sponsorship diverted funds to al-Qaida,” the report added.